There are many people who are extremely stressed as a result of many different pressures and demands that life throws their way. As a result of being stressed, persons may even develop a number of illnesses both physically and mentally. Most illnesses occur simply because of a breakdown of the immune system as a result of stress or depression. By playing video games, you will definitely find it relaxing. Not only will your mind be at ease, but at the same time you will get an opportunity to have loads of good clean fun as you play. 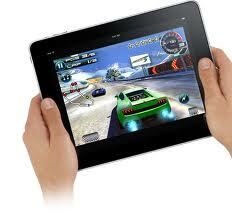 When you play electronic games, it stimulates that part of your brain that is responsible for solving problems. In addition to stimulating your brain to develop problem solving techniques and strategies, electronic games will help you to effectively analyze information and other important data. Most electronic games provide avenues for solving puzzles and thinking outside of the box. This will definitely help you to be successful in other areas of life, especially with regards to your career path. There are lots of drivers who undoubtedly agree that as a result of playing electronic car and driving games, their driving skills are improved. By playing a number of driving games, you will learn to steer into the skid instead of away from the skid. In addition to this, you will learn not to panic and lose control over your vehicle when driving on under adverse driving conditions. Simply because you have had several experiences of driving while playing video games. When you play video console games with other people, there is the added benefit of learning how to work in a team. This is definitely important in the world of work. Furthermore, playing games online with others can improve your interpersonal and communicational skills. This is because games are extremely interactive in nature providing fantastic positive and long lasting effects on your life. The truth of the matter is that a number of friendships, romantic relationships and business contacts have been formed by a numerous people playing electronic games online.